List Rules Vote up the funniest quotes from the Fab Four. If The Beatles weren’t busy revolutionizing the music scene in the '60s and '70s, they could have had an impressive run on the comedy circuit. The Fab Four had very different senses of humor - compare John Lennon's acerbic wit to George Harrison's sardonic commentary. That's not to mention Paul McCartney's often epic burns, or the clowning antics of Ringo Starr. These personalities came together beautifully as a cohesive unit. "The Beatles were kind of the dream of how you might be with your friends as you went through life," Richard Curtis said in documentary The Beatles: Eight Days a Week. The group's classic British humor that was frequently deployed. In fact, it was almost impossible for the Fab Four to sit through an interview without cracking themselves up. Viewers had the privilege of a glimpse of The Beatles' private lives by watching these famous friends riffing on their own inside jokes. But don't expect to find John Lennon's famous quote that Ringo "wasn't the best drummer in the Beatles" here - as Beatles biographer Mark Lewisohn explains, Lennon never said it. The Beatles were some cheeky monkeys. Besides their music, Fab Four one-liners were probably what they were best known for. These are just a few funny Beatles moments and witty comebacks to enjoy. So Come Together and have a good laugh at The Beatles’ hilarious retorts to silly interview questions. How Did They Find America? 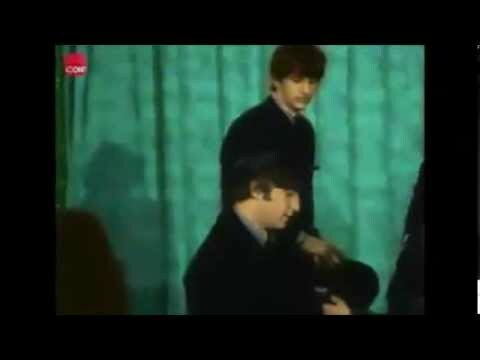 During a mock interview from a scene of A Hard Day’s Night (1964), The Beatles receive the perfect set-up for a joke. In the "interview," a reporter asked Lennon, "How did you find America?" Lennon replied, "Turned left at Greenland." During the same 1964 Texas interview where Starr puffed on his cigarette, Harrison made a pretty bold comment about one of his bandmate’s wives. 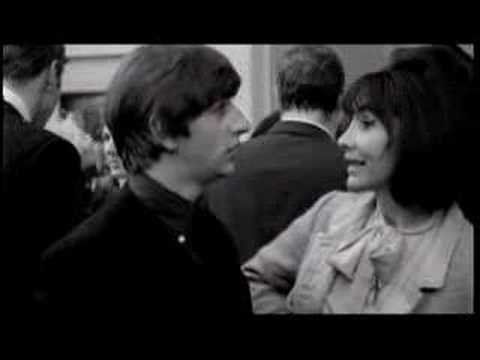 The reporter asked Lennon what type of girls he prefers, to which Lennon responded "my wife." When the same question was posed to Harrison, he quipped, "John’s wife." At the time, Lennon was married to Cynthia Powell. The Beatles took lots of jabs at the United States, whether they were making fun of the accents or the culture in general. During a 1963 interview in England (before the Beatles came to America for the first time), Lennon dropped this burn about Americans. "[The Americans] think your haircuts are un-American," a reported said. "Well, that’s very observant of them, cause we aren’t American, actually," Lennon replied. Harrison was pretty good at keeping a straight face while cracking wise. During the "interviews" in A Hard Day’s Night, a reporter asked Harrison, "Has success changed your life?" To which Harrison succinctly replied, "Yes."